This week, we did much better at shopping and adjusting the menu if we needed to while in the store. There were still just a small handful of items that we had to get elsewhere, but we left money for them to stay within our $75.00 budget. We spent only spent $67.46. at ALDI. Less than $75.00 YA’ALL! – that works out to about $1.20 a meal for each of the eight of us. Nice! Lots of yummy options on this week’s menu. You will notice I try to pick meal options that can either use either a meat (even though we don’t eat it), fish, or easily modified to be vegetarian/vegan. This week was also Valentine’s Day and my birthday. So, I decided to celebrate both on the same day so we could have one larger splurge meal as opposed to stretching that between two days. Meal 2: Sofritas Tacos (recipe here), with coleslaw (check back on Friday for my recipe) and roasted zucchini and squash cut lengthwise. Side of black beans and steamed white rice. 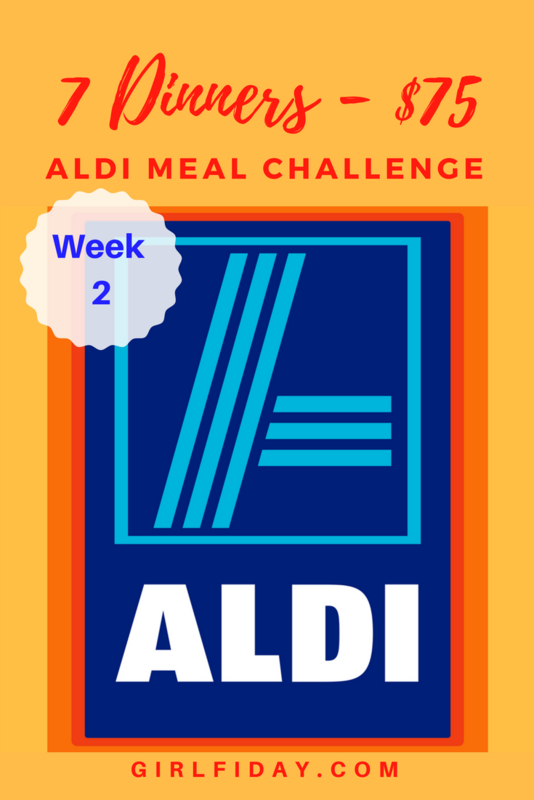 I hope you enjoy this weeks meal plan and have fun trying to get your food budget as low as possible while still enjoying healthy and delicious food. Because if it’s not healthy or delicious, what’s the point? I am really enjoying this series! You have given me some great ideas for menu planning. We are trying to eat more vegetarian/vegan too so I love how you include those options. I am so glad! It has been fun for us too. My 22 year old daughter has been doing this with me. We shop together and she makes a lot of the meals. For next week’s menu we tried a brand new recipe for our household and it is now on my favorites list. We were lucky to have left-overs. I can’t wait to share it.